Just another blog about the Java programming language. What is JBoss FUSE ESB? 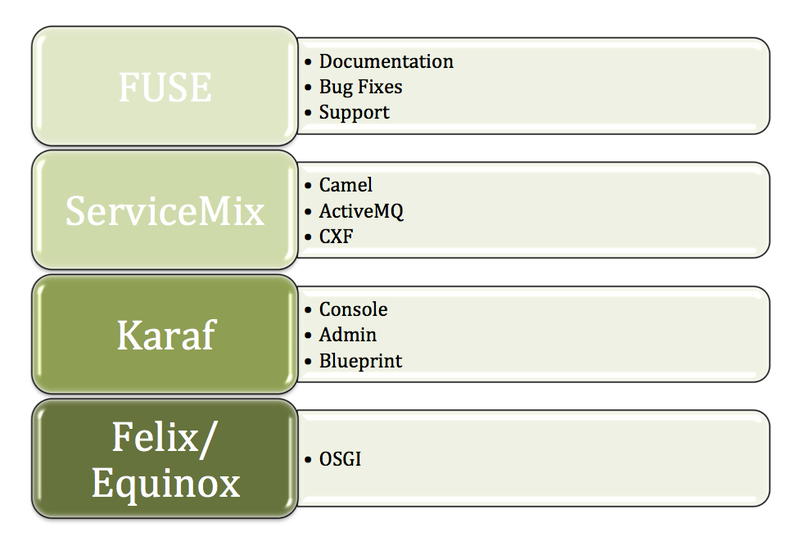 And what is its relation to OSGI, Apache Felix, Eclipse Equinox, Apache Karaf and Apache ServiceMix? 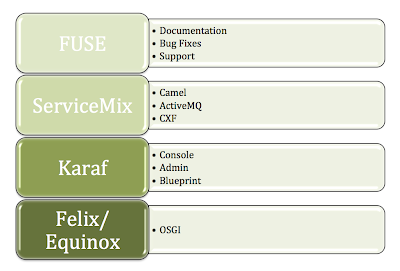 Karaf is the ServiceMix Kernel and provides a "distribution" based on Felix or Equinox by adding features such as an admin console and blueprint configuration.